I asked many times about bringing back the wheel sets into the game and no one answered, so I made this post to let them know . Pavel said that he might bring that feature back if many people ask for it. 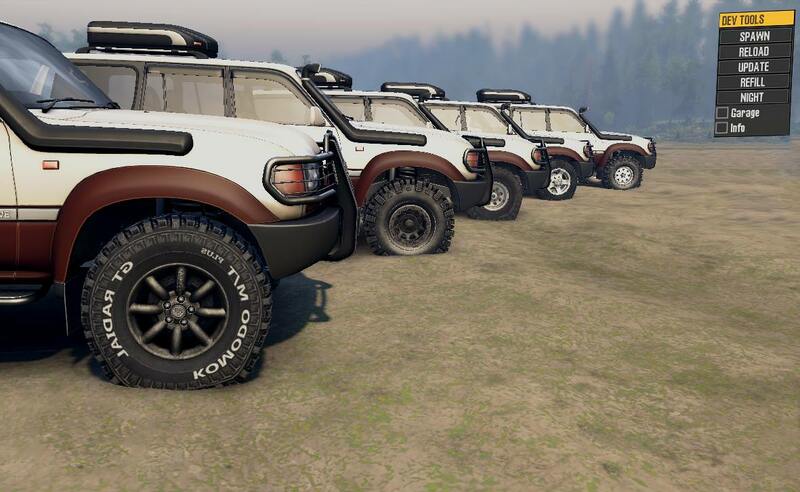 Another nice feature for modders and users is a color option in the garage, that way we avoid having 20 cars in the select menu just to use another set of wheels or another color. So leave a comment below to support this if you think is useful. result .. now thats what we want ! Yeah it would be a nice option to have. Another really worth while upgrade to the game - I totally support this! Want! i don't think there is one person who wouldn't want that option. +1 hopefully they see this and do something. 100% Agree with this. Why take away options that make the game great? Changing the wheels were always a fun way to change up the vehicle. 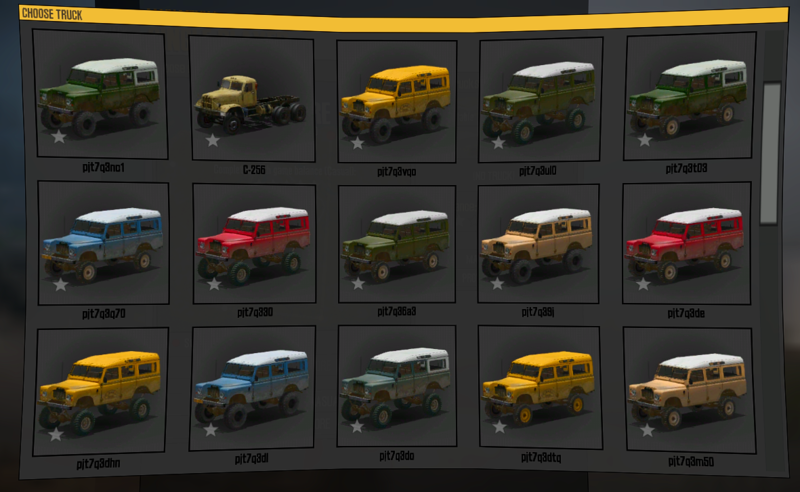 Always thought these multiple duplicate trucks in the menu was unnecessary clutter just adding to the memory issue and making it annoying to scroll through. My view here is win win! Why wouldn't you do this would be a better question. +1 As I said before release, during the closed test and after release: It was a bad decision to remove a working feature without any need. this says a lot imo. it sounds like it is still there, just a matter of this "enhanced" xml feature and using it. funny this is not the first time this has been brought up and pavel was @ mentioned, so he should know enough about the wheel sets already. what is there to "beg to differ"? other than this time he has actually said he would do something? the post in my link basicly sounds like it can be done, just need the xml coding for it. which i am figuring is what it sounds like he is going to be doing or is getting at in your reply from him. whether or not they do this for the stock vehicles is one thing, but they should have never taken it away from the modding community. alas, we do not work for the company so we have no say in those kinds of decisions. one thing is for sure though. focus needs to have better contact and interaction between focus (devs) and the community. just my opinion. i do not know every little thing going on with the game, company, devs and community. point is that even though there is communication between them all, it seems to be somewhat disconnected as well. how much "working with" the community is there vs. just "listening" to the community? in the end we all want the same basic thing, a game that people want to play and will enjoy playing. things take time and we will just have to wait and see where it goes. I can't agree with you more than I already do.